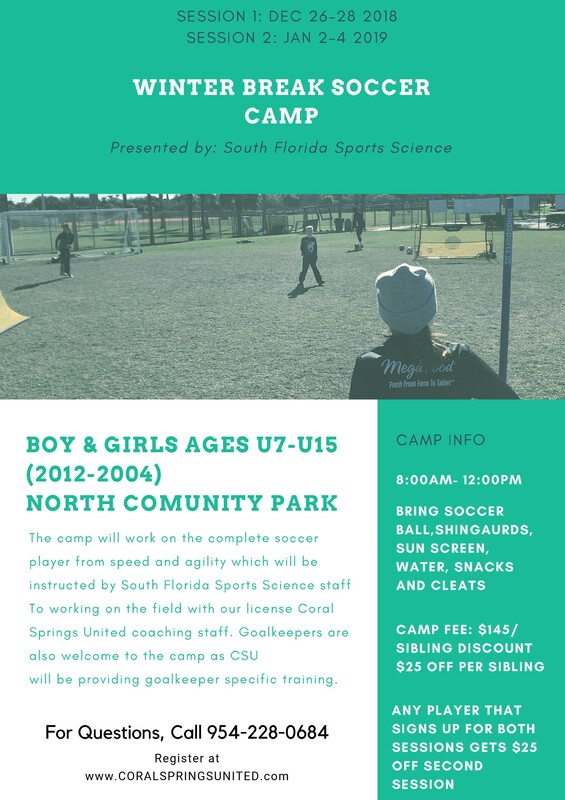 At Coral Springs United F.C., we understand the importance of maximizing each athlete’s physical abilities, developing long-term prospects, and building training programs that foster sustained success. Our programs are designed to support players by establishing goals for every athlete and every stage from our Junior Program through to our Competitive program. Coral Springs United F.C. offers various programs throughout the club. Information detailing each program can be accessed through the links in the blue side menu bar.